Now a Hallmark Channel movie event, The Bridge, along with prequel The Beginning, is a heartwarming story of two couples who find love in a bookstore and experience the sort of miracle that can only happen at Christmastime. #1 New York Times bestselling author Karen Kingsbury has written a modern-day classic with this unforgettable love story set against the struggle of the American bookstore. Molly Allen lives alone in Portland, but she left her heart back in Tennessee when she walked away from Ryan five years ago. They had a rare sort of love she hasn’t found since. Ryan Kelly lives in Nashville after a broken engagement and several years on the road touring with a country music duo. Sometimes when he’s lonely, he visits The Bridge—the oldest bookstore in historic downtown Franklin—and remembers the hours he and Molly once spent there. For over four decades, Charlie and Donna Barton have run The Bridge, providing customers with coffee, conversation, and shelves of classics—even through dismal sales and the rise of digital books. Then the hundred-year flood sweeps through Franklin and destroys everything. The bank is about to pull the store’s lease when tragedy strikes. Can two generations of readers rally together to save The Bridge? And is it possible that an unforgettable love might lead to the miracle of a second chance? She should have said something. Even now, seven years later, with Thanksgiving dishes put away and another lonely December rushing up at her, Molly Allen knew the truth. Her year, her life, her Christmas . . . all of it might be different if only she’d said something. The possibilities plagued her that Black Friday. They walked with her through the front door of her Portland, Oregon, private foundation office, hovered beside her over lunch at P.F. Changs, and distracted her every time she stopped in to see the cats and dogs at her animal rescue shelter. This was Video Day. Molly’s day after Thanksgiving. Everyone else in the greater Portland area spent the day hunting bargains and stopping in at her shelter to see if the gift they wanted might be in a cage instead of a Walmart. But now, as the day wound down, while shoppers unpacked their bags and counted their savings, Molly would snuggle beneath a blanket by herself and watch the video. The way she did every year on this day. She tucked a strand of long blond hair behind her ear and stooped down to the oversize cage on the bottom row. The room echoed with a dozen different barks and whimpers and cries for attention. A chorus of unrest and slight concern from the animals rescued this month to her shelter, one arm of the Allen Foundation’s efforts. Buster wagged his tail furiously as Molly led him to the lobby. She liked Buster’s new family. Of course, she liked most families. Anyone willing to rescue a pet was a friend of hers, no question. But this family with their twin seven-year-old boys seemed special. Their eyes lit up as Molly rounded the corner with Buster. “Daddy, that’s him! Our Buster dog!” One of the boys ran up and dropped to his knees, hugging Buster around his neck. The family turned their attention to Buster and the excitement of getting him out the door in the pouring rain and into their van parked just outside. As the family drove off, Molly checked the time. Six minutes till closing. She walked to the door and flipped the sign. The cages were clean, and the animals all exercised by ten volunteer high school kids who had worked until an hour ago. She would check the water bowls and head home. Somewhere in the opening credits, he wrote this descriptor: How a small-town boy from Carthage, Mississippi, and a highbrow girl from Pacific Heights, California, found common ground on a daily commute down Franklin Road outside Music City to The Bridge—the best little bookstore in the world. Too wordy, too many locations, Molly had told him. The two of them would laugh about how he ever could’ve gotten an A on the assignment with such a horrific descriptor. Molly set her drenched things down just inside the door of her walk-up apartment, turned on the lights, and took off her dripping raincoat. She lived well below her means, in a new two-bedroom unit on the famous NW Twenty-third Street. Trees along Twenty-third sparkled with twinkling lights even in July, and the street boasted local coffee shops, cafés, and boutiques with only-in-Portland art and fashion. The pace and people took the edge off. Her father would have hated it. He flopped down on the kitchen floor and put his head between his paws. She ladled out a small bowlful of soup, grabbed her blanket and the remote control and settled into one half of her leather loveseat. The top button on the remote dimmed the lights, and the next would start the movie, which had been in the player since early that morning. Molly caught her hair in her hands and pulled it to one side. His name was Ryan Kelly. Now he was married to the sweet Southern belle he’d dated back in high school, no doubt teaching music at Carthage High in Nowhere, Mississippi. But for two years while they attended Belmont University, Ryan had been hers. She’d dreamed of never going home again and playing violin for the philharmonic, and he’d talked about touring with a country band, making music on his guitar for a living. In the end, he had Kristen, his Southern girl back home, and Molly had her dad’s empire to run in San Francisco. But for those four sweet semesters at the Franklin bookstore, nothing came between them. The ending was the hardest, the final touch, the turning away, her trembling hands. Every gut-wrenching heartbeat remained etched in her soul forever. Their good-bye had happened so fast, she still wasn’t sure she understood why. How they could’ve parted ways so quickly and finally. Molly hit the play button, and as the music began, the familiar ache built inside her. She didn’t often allow herself this trip back to then. But the day after Thanksgiving belonged to him, to the way things once were, and to the unavoidable, inescapable truth. Like Rhett Butler in Gone with the Wind, she should’ve said something. He had set the camera up on the dashboard, rigged it with masking tape and a dowel so he could turn it slightly. The viewfinder flipped out, facing them. “Just act natural,” he told her. “Keep your eyes on the road.” His taped laughter rang through her living room the way it once rang through her mornings and afternoons. Their laughter came together in an up-tempo waltz, while the camera caught the discreet way their bodies seemed drawn to each other. The slight but intentional way their knees and elbows brushed together and the way she looked at him as he filmed her—as if she’d never been happier in all her life. Molly smiled as the video played. The camera had caught their heart connection, the friendship definitely, but it had also caught the connection they hadn’t been willing to talk about. The chemistry between them, so strong it took her breath even now. As the video played on, something remarkable happened, the reason Molly watched the video every year on this day. She no longer felt herself sitting in front of her TV screen watching footage shot seven years ago. Instead she was there again, the sun on her shoulders, adventure in her heart, the summer after her high school graduation. Not in a flashback sort of way. But really there. Heading into an oversize auditorium with three brand-new girlfriends for August orientation at Belmont. Maybe it was the sense of freedom Molly felt that day, the fact that she’d convinced her father to let her do the unthinkable—leave the West Coast to attend college in a flyover state like Tennessee. Or the fact that here she wasn’t an heiress biding time until she could take over her father’s corporation. She was a college kid, same as everyone else. Whatever it was, that day she felt wonderfully alive and hopeful, every predictable aspect of her life as far removed as the Pacific Ocean. “Don’t be ridiculous. He’s just . . .” Molly giggled, but she couldn’t finish her thought. Because in those few seconds, the connection between her and the dark-haired freshman was so strong it took her breath. She’d met a number of kids by then—through registration and lunch and field games earlier that afternoon. This felt different, and Molly knew one thing without a doubt, no matter what else happened in her four years at Belmont. She would never forget this single moment. They didn’t talk, didn’t make their way toward each other when orientation finished that evening. Molly almost wondered if her dad had someone following her, someone who would pay the guy to stay out of her way. Because her time here had come with a stipulation from her parents. She could study music, but she couldn’t date. If her father found out she was seeing a Belmont boy, he would bring her home on the next flight. “You’ll marry your own kind,” he always told her. He’d say it with a smile, but he was serious all the same. And he didn’t mean she’d marry just any guy in their circle of friends. He meant Preston J. Millington III. Preston had attended boarding school with her. The guy was smart and kind and personable enough. Their parents were best friends, and Preston was on the fast track for an MBA. Her father had already promised him a position with his shipping corporation. Molly had no feelings for Preston, but she’d been raised to believe she didn’t have a choice. No say in the decisions that would shape her life. Not until she set foot on the Belmont campus did her life feel remotely like it was her own. Still, by the end of the first week of school, Molly wondered if she’d ever see the boy from orientation again. That Friday one of Molly’s friends invited her over for dinner, and she said yes, the way she said yes to every invite. She loved the freedom of coming and going whenever she wanted and spending time with people regardless of their income and influence. Her friend lived in downtown Franklin, thirty minutes south of Nashville. As Molly stepped out of her sedan, she saw a guy climb out of an old Dodge truck at the house next door. He had a guitar case slung over his back, and he stopped cold when he spotted her. Molly pulled herself away from his deep stare and hugged her friend. They were halfway up the walk when she turned back and looked for him, but he must’ve gone inside. All through dinner, Molly thought about him, thinking up ways to ask her friend’s family who he was and whether he lived there or if he was visiting. When she left that night, his truck was gone. But on Monday, Molly arrived early to the music building for her instrumental theory class. As she entered the hallway, she was practically overcome by the beautiful sounds of an acoustic guitar and a guy singing a song she’d never heard. His voice melted her, and somehow even before she rounded the corner into the room, she knew. As if she’d known him all her life, she knew. Seeing him on the other side of the classroom door only confirmed it. “So you’re in here?” Her heart soared. And like that, it started. Neither of them lived on campus. He couldn’t afford the room and board, so he lived in Franklin with an older couple, family friends. She lived in a house her parents owned in Brentwood’s McGavock Farms. Her dad had bought it well below market value. He hired a crew to renovate it before school started, with plans to keep it until she left Belmont, when he would sell it for a profit. For now the house was staffed with a housekeeper and groundsman, a married couple who lived upstairs. Molly had a suite on the main floor, adjacent to the music room, where she could practice and study. Dorm living was out of the question. Molly was intrigued, and from that first study session, The Bridge became a private world for Ryan and her, a hiding place for the two of them. Sure, there were other patrons, but Belmont students didn’t drive that far, and Molly loved the anonymity. The store was set up in an old house that once was a hiding place for Union soldiers during the Civil War. The floors were old weathered pine, and the walls and doors had settled so that they didn’t quite line up. The place smelled of old books and rich leather, and Molly loved everything about it. The Bridge was run by a man named Charlie Barton, a friend to the people of Franklin. Charlie kept fresh-brewed coffee on a table near the front register where he hung out, quick with the right suggestion of a book or an insightful conversation. Once in a while his wife, Donna, joined him. The couple would sit with Molly and Ryan near the fireplace and listen. Really listen. “Tell me about your classes,” Charlie would say. Then he’d pull up a chair as if he had all day to hear details about music lectures and science tests and the English lit reports they were working on. By the end of the first semester, Molly felt closer to Charlie and Donna than she felt to her own parents. It took only a few study dates to learn all there was to know about each other. Molly told him things she hadn’t told anyone. How her life back home suffocated her and how she had never considered crossing her parents or disobeying them. She told him about Preston and her father’s corporation and the plans he had for her. Molly felt the sting of the news, but she didn’t let him see. She couldn’t date him, anyway. He would be her friend, nothing more. Knowing about his girlfriend back home only made him safer, giving her permission to get as close to him as she wanted. Like that, their dreams were set. They promised to push each other, to never settle for anything but the place where their hearts led. They took turns commuting to Belmont, and they shared a ride every day from the beginning. Ryan would pull his truck up at the corner of McGavock Farms and Murray, where she’d be waiting, out of sight of the staff. He’d take her to school and then to The Bridge when classes were done. Homework wasn’t all they did at The Bridge. They also found books, classics that spoke deeply to them. Gone with the Wind and her favorite, Charlotte Brontë’s Jane Eyre. From the beginning Molly related to the heroine and her determination to do the right thing, even at the cost of love. They read Jane Eyre aloud to each other, and once in a while, on the drive to The Bridge, they would quote lines to each other. “‘I’m asking what Jane Eyre would do to secure my happiness,’” Ryan would say in his best English accent, quoting Rochester. When they weren’t quoting Brontë’s novel, they sang along with the radio and talked about their classes and dreamed of the future. For two wonderful years they never talked about the one thing that seemed so obvious at the time, the thing that could’ve made all the difference. They never talked about whether their friendship was a cover for the obvious. That maybe they were in love with each other. As the video wound down and Sam curled up on the floor beside her, as her tears slid down her cheeks the way they did every time she watched the film, Molly couldn’t help but think the one thing she would always think this time of year. 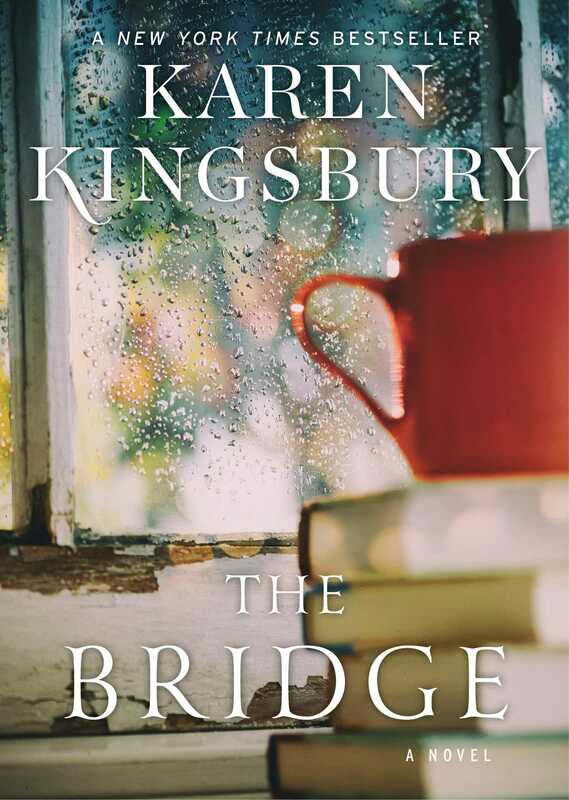 This reading group guide for The Bridge includes an introduction, discussion questions, ideas for enhancing your book club, and a Q&A with author Karen Kingsbury. The suggested questions are intended to help your reading group find new and interesting angles and topics for your discussion. We hope that these ideas will enrich your conversation and increase your enjoyment of the book. Molly Allen lives in Portland, but her heart is in Franklin, Tennessee—where she walked away from Ryan Kelly, a man she cannot forget. Now, Ryan and Molly’s favorite bookstore is in trouble. For thirty years, Charlie and Donna Barton have run The Bridge, providing the people of Franklin, Tennessee with coffee, conversation, and shelves of good books. But when a flood tears through Franklin, destroying every book in The Bridge, the bank threatens to pull the lease on the store and claim the Barton’s house. Despondent, Charlie considers ending his life. And in the face of tragedy, miracles unfold. 1. The Bridge is told from multiple points of view in alternating chapters, allowing readers to hear from Molly, Ryan, Charlie, and Donna. How might the story be different if The Bridge was only told from by Molly’s perspective? Or from Charlie’s? Were you drawn to any one, particular character’s story? 2. Molly spends every Black Friday watching Ryan’s video, but she refuses to check his profile on Facebook or ask mutual friends about what he is doing. What does this tell you about her character? Why do you think she avoids learning more about Ryan, even though she still thinks of him? 3. In Chapter One, Molly regrets not telling Ryan that she loved him—acknowledging, “Like Rhett Butler in Gone with the Wind, she should’ve said something.” (pg. 25) Yet Ryan also failed to tell Molly how he felt about her. What do you think holds each character back from revealing their true feelings? Do you have any similar regrets in your own life? 4. Charlie occasionally shares scripture with his customers, in particular Deuteronomy 20:1, which reads: “When you go to war against your enemies and see horses and chariots and an army greater than yours, do not be afraid of them, because the Lord your God who brought you out of Egypt, will be with you.” (pg. 33) Why do you think this passage in particular resonates with Charlie? How does this passage relate to the narrative as a whole? 5. What does The Bridge represent to each character? Do you think it is fair of Donna to urge Charlie to get another job? 6. Discuss Molly’s favorite book — Jane Eyre by Charlotte Bronte. Why is she so drawn to this particular novel? Does Ryan have the same connection with the novel as Molly does? What role does this classic piece of literature play in their relationship’s history? Have you ever read Jane Eyre? 7. When Charlie’s loan application is rejected a second time, he thinks Donna might be better off without him. Were you surprised by Charlie’s suicidal thoughts? 8. Although they are largely absent, father figures play an important role in the novel. How might Charlie and Molly’s lives have been different if their parents were supportive? 9. When Charlie is in a coma, Donna reads him messages from hundreds of customers about how much The Bridge meant to them. She believes Charlie can hear her and finds her faith restored. Do you believe Charlie understands? Does it matter if he hears, given the power the messages have for Donna? 10. Both Molly and Ryan are guilty of hiding the truth, with Molly’s fake wedding ring and Ryan hiding her father’s call. What do you think would have happened differently if they had both been more honest with each other? Do you think they would be the same people had they started a relationship in college? Would Molly have her foundation, and Ryan his music? 11. Why doesn’t Molly want Charlie and Donna to know she bought The Bridge? Why does she make sure Ryan knows the truth? 12. Ultimately Molly and Ryan “thank the God of second chances.” (pg. 182) Yet, they are hardly the only characters offered another chance in the novel. How does this theme play a larger role in the narrative? Who else gets a second chance? Reflect on your own experience. When have you encountered a second chance? 1. Arrange a visit to a local bookstore in your community and introduce your book club to the staff and owner. Take a moment to ask how they got into the bookselling business, why they choose to work in a bookstore, and ask for any new reading recommendations! 2. Charlie remembers reading Treasure Island in the library after school, while Molly remembers reading passages of Jane Eyre aloud. Have each member in your book club pick a book that has a specific memory tied to the reading experience. Where were you when you were reading this book? Why do you think you have a strong memory associated with this specific book? Has this book played a meaningful part in your life in anyway? Share and discuss your responses with your book club members! 3. Organize a drive with your book club members to collect used books to donate a school or a library in your community or to a larger charity organization. 4. The power of prayer plays a crucial role in The Bridge. 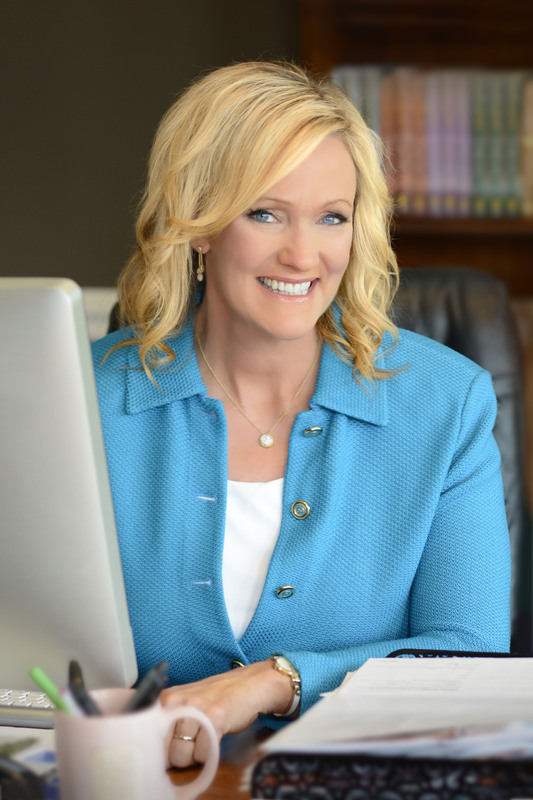 Visit www.KarenKingsbury.com to become a part of Karen Kingsbury’s own prayer team. Read other reader’s prayer requests and submit your own. Is there a certain place in your life that carries as much significance as The Bridge does for Molly and Ryan? For me, certain beaches have that draw. I grew up in Los Angeles and once I could drive, nearly every summer day I made my way to the beach. I did a lot of dreaming and journaling at Zuma Beach, Malibu Beach, and Will Rogers State Beach … moments of sitting at empty lifeguard stations and staring out to sea, wondering what God had for my future and imagining the novels I wanted to write some day. I would have loved a place like The Bridge. The Bridge is set in Franklin, Tennessee, near where you live in Nashville, which experienced devastating floods in 2010. Is this novel based on a particular store? No, The Bridge is an imaginary store. I can see it in my mind, though, and sometimes when I drive down Franklin’s Main Street, I’ll glance down 4th and think, That’s where it is, The Bridge, that’s where it would be right now if it existed. When readers first meet Charlie he is waiting for “whispered words of hope or gentle reminders of inspiring Scripture” (pg. 26), but feels like no one is there. Have you ever had your faith tested like Charlie? Yes, I have had times when it feels that the whisper of God is far from me. But always it’s because I’ve allowed something in my life to stand in the way of my faith. Our choices draw us closer to God or take us further from Him. When I align my daily decisions with His will – even in practical areas of time usage or helping others – I can hear Him more clearly. Funny, but at times that have been the most desperate in my life, I have always felt close to God. He becomes everything to me in a season of great pain or a season of great triumph. I think my goal is that I would live in that closeness always, in the in-between times. Charlie quotes Deuteronomy 20:1 when thinking about his troubles with The Bridge. Do you have a favorite piece of Scripture? One of my favorite Bible verses is Jeremiah 29:11, which says, “I know the plans I have for you, says the Lord, to give you a hope and a future and not to harm you.” I love this because it confirms that God’s plans for my life are good. If I maintain a relationship with the Creator of the Universe, then I can be certain He will bring good and hope out of the circumstances of my life. He’s got a good plan for my life – even when I can’t see it. That’s very encouraging and something I try to pass on to my reader friends as often as I can. Donna originally wants Charlie to contemplate a different career. Have you considered being anything other than a writer? This makes me smile. Yes, I considered being a lawyer at one point. I love debate and fighting for righteousness. I would’ve been a prosecuting attorney, for sure. I had been writing since I was five years old, and by the time I was in my second year of college I wasn’t sure I wanted to be a writer. The dream of writing novels seemed hazy at best. So I began pursuing a law degree. I took a basic journalism class in lieu of English. An easy A, I figured. After we submitted our first story, the professor made an announcement to the entire auditorium-sized class. “Karen Kingsbury, I need to see you when the hour’s finished.” I couldn’t believe it. How could I have messed up so badly, so quickly? When the class was over I walked to the front and this veteran journalism teacher looked me straight in the eye. “Two things,” his voice was sandpaper and rusty nails. “Yes, sir,” I blinked, not sure what was coming. “First,” he stared at me over the tops of his small wire glasses, “you will never, ever stop writing. And second, I want you to report at the newspaper office tomorrow morning. You’re on staff.” Simple words. Brief sentences. But something about that moment turned everything around. I reported for work the next morning and began writing for the college paper. I never considered a law degree again, never looked back. The dream of being a novelist was reborn, and I haven’t stopped writing since. You and Charlie share a belief in the life-changing abilities of books. How has reading and writing books changed your life? Fiction slips its message on stocking feet through the back door of the heart. Nonfiction books are direct in their message, intentional in their purpose. Those books have at times made an impact, but always in an area I was hoping would be impacted. Fiction is different. It sets out to entertain us. We pick up a novel to escape or tag along on a journey we might not have otherwise had. But when a novel contains a spiritual message, the journey becomes personal. We find our lives changed, our hearts forever affected because we had no defenses up. The backdoor was open and before we know it, a truth has crept into us that will make us better mothers and fathers, better parents, better friends. Better people. We walk away stronger in our faith, stronger in our determination to do right and change the world for the better. It’s very powerful, and yes, I am changed both by what I write and what I read. Is there one specific novel that speaks to you like Jane Eyre does to Molly? I’d say Charles Dickens A Christmas Carol. I never tire of the use of language, the brilliance of word choice and the carefully crafted storytelling. I love his subtle use of sarcasm, and I’m crazy about the plot. The idea that we might find ourselves stuck in our ways and cold to the beauty around us. But if we are listening, we can learn much from our past, our present … and the possibilities that lie in the future. I love that Scrooge has a second chance to live. The theme of redemption and second chances resonates through many of my books, and it will always draw me. I think it is in the idea of a second chance that we find hope. For as humans, we will fail. The key to winning at life, is the ability to get back up. The belief that hope and redemption await all people who believe. When Donna and Charlie aren’t able to have children of their own, they create a family at The Bridge. How do you define family? We adopted three kids from Haiti in 2001, and that helped solidify a way that we already believed – A family is made up of the people who surround the dinner table. We are brought together by a common faith and love, a common set of events and circumstances and beliefs. Family is about loving people, and receiving love from them in return. When we invest in the lives of people around us, we are creating family. There are many ways to see this happen. Although the people who share our last name and our heritage are certainly an important aspect of family, it gives us hope that we never need to be alone. We can join a church or involve ourselves in an outreach or ministry and find the family we’re looking for. Both Molly and Ryan are musicians and you have released a CD called “Songs that Inspire Karen Kingsbury.” How has music influenced your life, especially your writing? There is no way to overestimate the impact of music on my writing and in my life. I am moved by music, and the stories in my heart are stirred to life by a melody or a lyric. I literally create a playlist of songs for every book I write. I listen to it on repeat throughout the writing, like the soundtrack of a movie. This works for me, probably because I see my books like a movie in my head. Without music, I’m not sure what I’d see. I believe music is a gift from God, another way to lower the walls and work through the layers so that we might live – even for a short while – in the deepest places of our souls. Given that you have written more than fifty novels, do you ever find yourself struggling for inspiration? Another one that makes me laugh. No. No struggle for inspiration. I’m very right-brained, very emotional. I see tenderness and heartache, triumph and beauty every day, in every situation. I’m constantly soaking in the emotions and moments around me, and the ideas and storylines, characters and conflicts in my heart are like the planes circling O’Hare Airport in Chicago. It’ll never be a matter of stories for me, but a matter of time. I love being a wife and a mother, and along the way as I’ve written those novels, I’ve always put my family first. I was there for the first steps, the first day of Kindergarten, and the first homerun. I attended the dance and voice recitals, front row, and I have thrown more birthday parties than I could begin to count. My struggle will never be inspiration, but in finding time to write, when I’m so absolutely in love with real life. "Popular inspirational novelist Kingsbury goes mainstream in her newest, which mixes a love story with a seasonal one that borrows from the Christmas favorite It's A Wonderful Life. . . . Kingsbury fans may acquire a new holiday favorite read in this sugary tale of second chances."